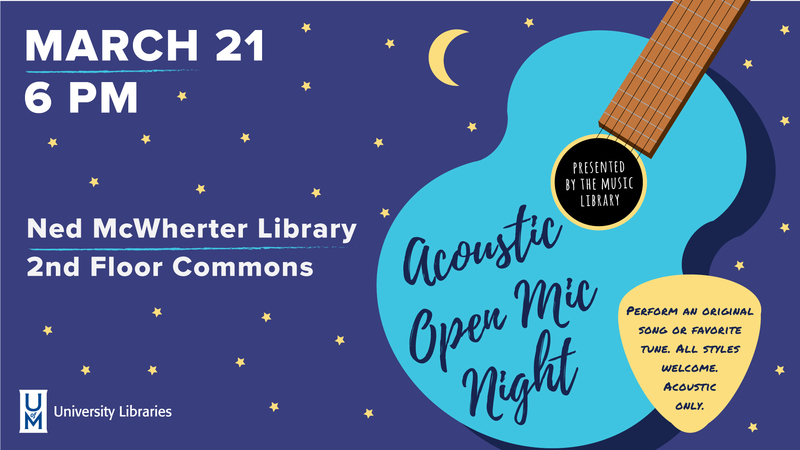 Perform an original song or favorite tune at the Ned McWherter Library 2nd Floor Commons. All styles welcome. Acoustic instruments only. For more info, contact Joel Roberts at jcrberts@memphis.edu.